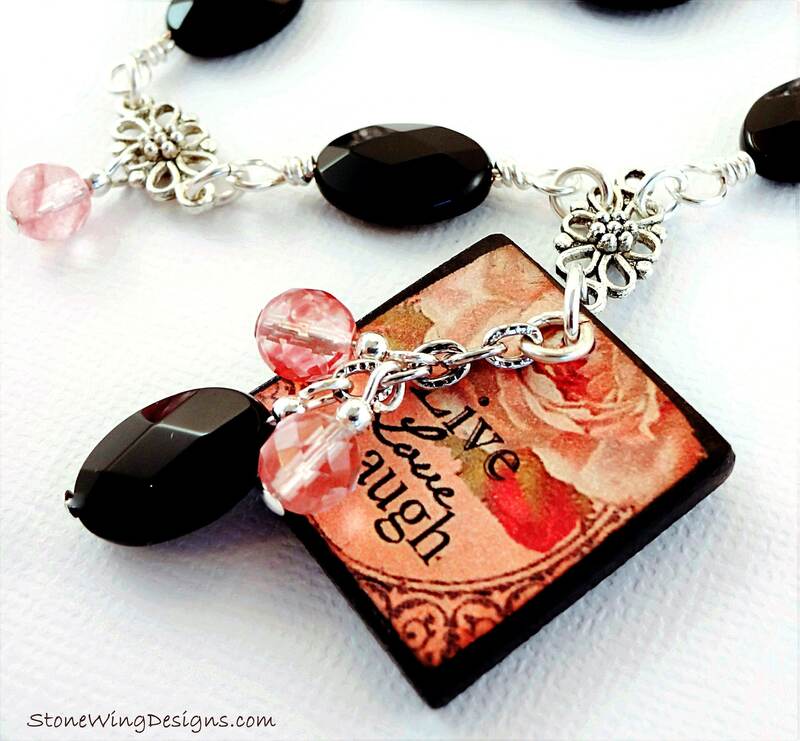 The inspiration for this necklace was the wood tile featuring a rose and the words "Live Laugh Love." 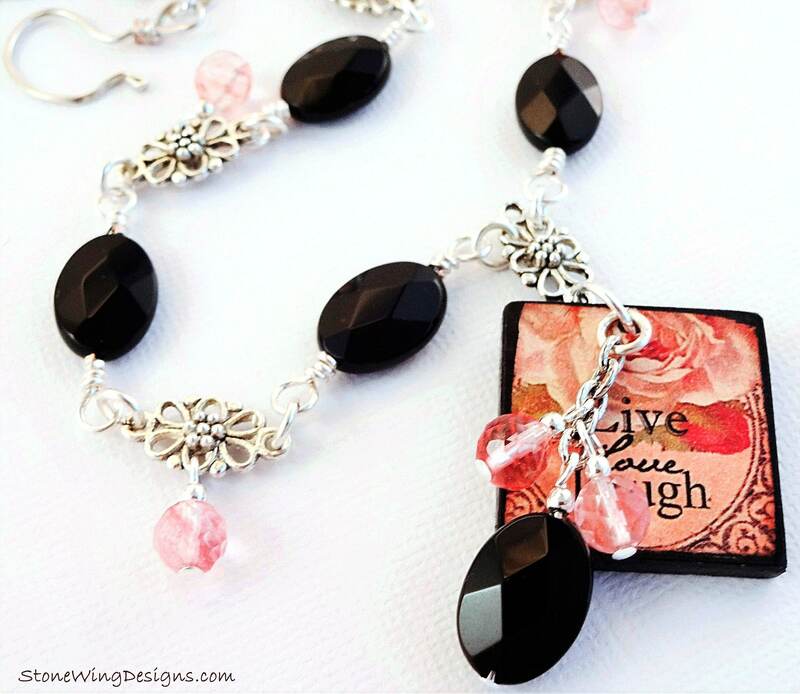 I wire wrapped faceted flat ovals of Black Onyx and linked them to fancy silver filigree connectors. 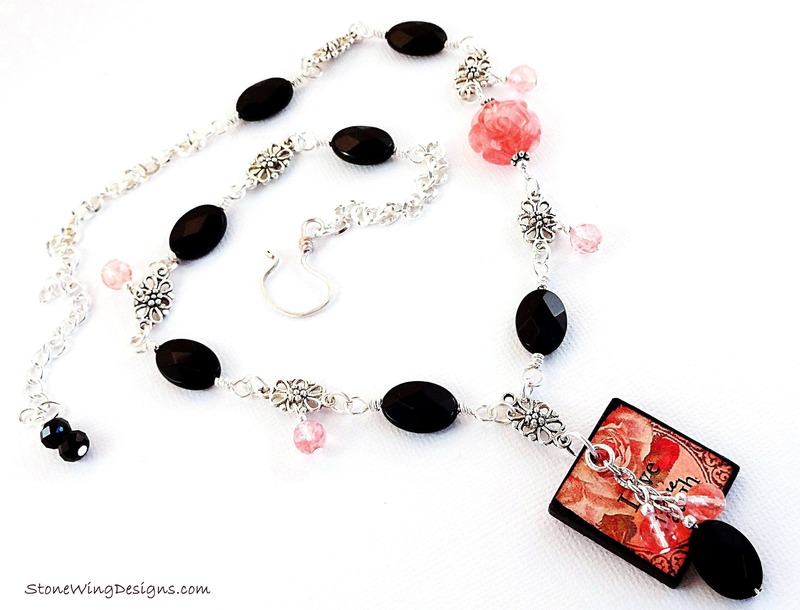 Cherry Quartz adds a pop of color and movement with faceted round beads that dangle from the silver filigrees. 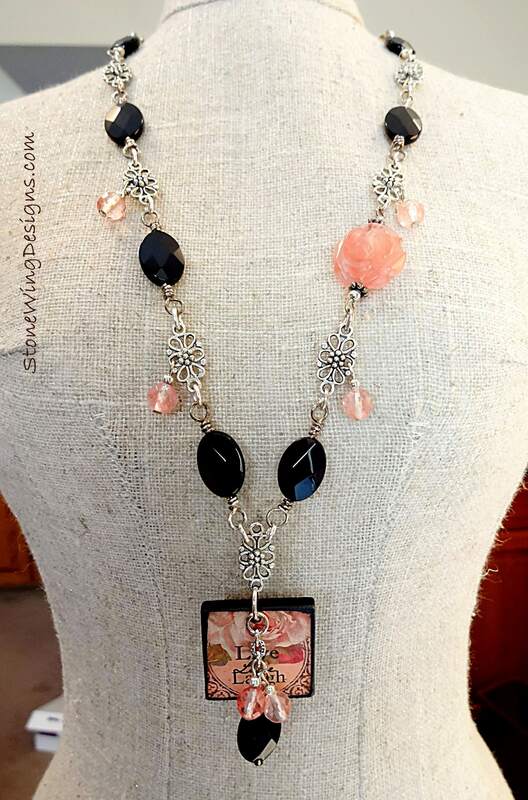 One Cherry Quartz rose bead on the left side makes this an asymmetrical design. Then I handmade a silver hook clasp that connects to silver chain make the length adjustable. Length: adjustable from 17 to 22 inches. 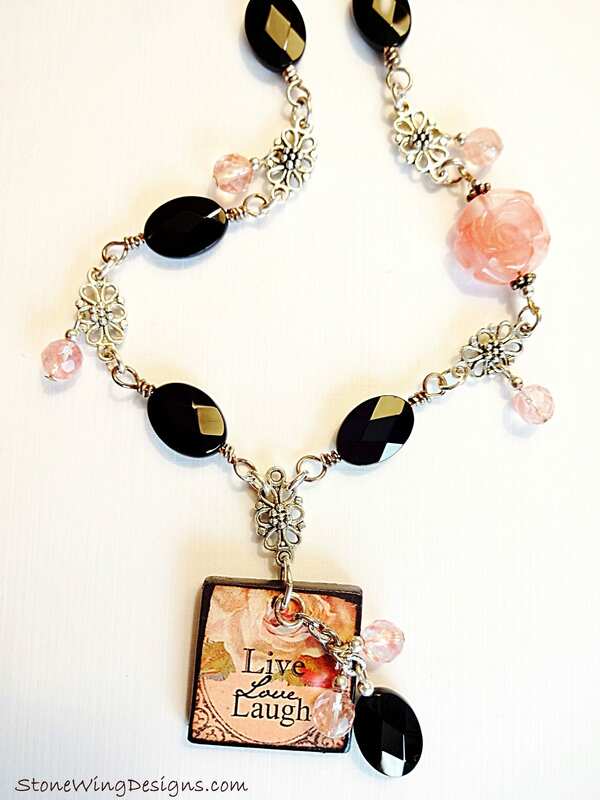 Let me know if you want the necklace to be shorter; I can also remove the extra chain.